If you have a SIGNIFICANT TAX PROBLEM, whether it’s the IRS, the Washington DOR, or any other state or federal agency, I am ready to help you! If you need an Attorney to handle a Probate case, anywhere in Washington, please give me a call! If you need an ESTATE PLANNING or TAX PLANNING lawyer, I can Help! If you want to SET UP A BUSINESS or ensure your business is meeting all state and federal regulations, I want to Help! 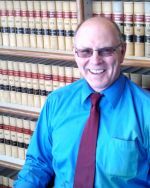 I have been practicing law for over 20 years, in both federal and Washington state courts. I do offer MILITARY DISCOUNTS to Active, Reserve, Retired military, regardless of rank or service affiliation. I have handled hundreds of Probate Cases in Washington, and I am sensitive to the needs and feelings of those left behind… I know the law, and I will guide your Probate to a successful, peaceful resolution. I want to meet YOUR Estate Planning needs, and I will not recommend any document or transfer you DON’T need… I know the options, and the outcomes of those options. I custom fit your Estate Planning documents to YOUR needs. Let me help you so you are comfortable with your Estate Planning outcome. I have SAVED well over TWO MILLION DOLLARS of tax obligations for clients at the FEDERAL, State and Local levels…. My record shows a consistently HIGH resolution rate, and I GET RESULTS! I was a CPA before I went to law school, and I have worked with the taxing agencies for almost 30 years. If you have paid a tax resolution company BIG MONEY to get you out of trouble, and you have not had success, let’s talk. I have filed thousands of formation documents for LLC’s, Corporations, “S” Corporations, along with all types of partnerships. I insist on providing initial tax guidance and accounting system organization. If YOU want to set up a business, and YOU are SERIOUS, I am ready to help you.